And just like that, it’s December! 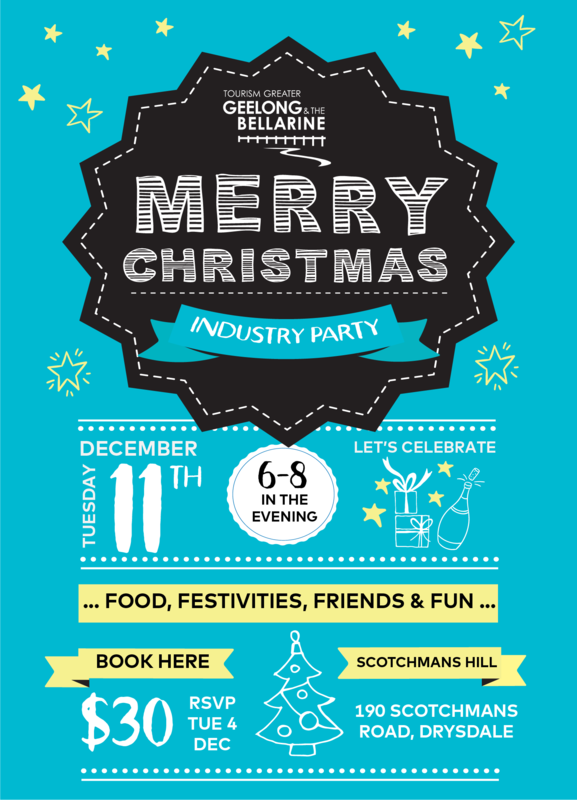 Tourism Greater Geelong and The Bellarine would love the company of our members as we celebrate the year that was and the year to come. Join us for FOOD, FESTIVITIES, FRIENDS & FUN at the stunning Scotchmans Hill. Inclusions: A Christmas feast and one drink per person. Additional drinks at bar prices. Join Team Tourism... Become A Member Today!